The secret to freedom is courage. Any artist pursuing a righteous path of true self-expression knows the amount of work required to reach a position whereby they’re finally able to govern their own destiny, and while for some that power can be wielded from the off, others face a more determined journey to taste freedom. In an issue celebrating autonomous statements of individuality, Clash is proud to present an artist who’s spent over a decade building the foundations upon which his progressive legacy stands. 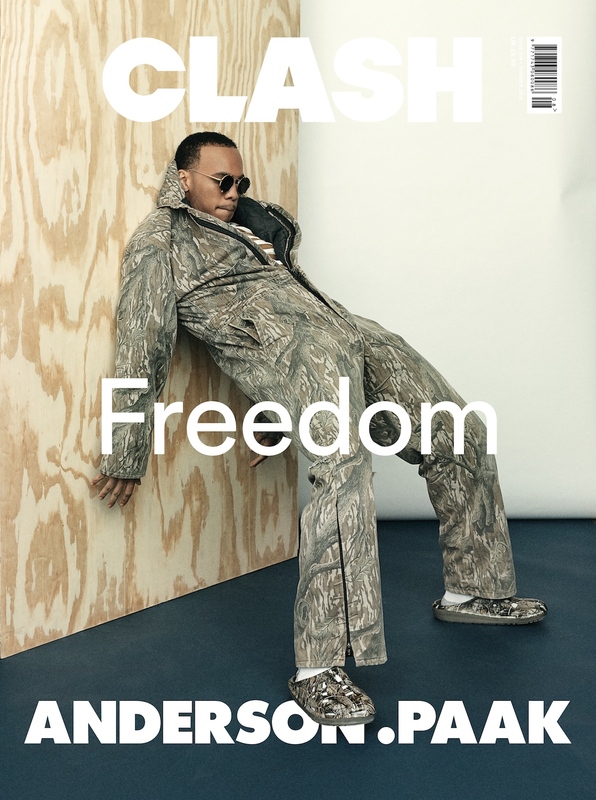 The second of this issue’s four cover stars is the dynamic soul adventurer, Anderson .Paak. Since breaking through with six appearances on Dr. Dre’s ‘Compton’ in 2015, Oxnard’s Anderson .Paak has become one of music’s most compelling acts. Never afraid to surprise his listeners, he continues to blow up while holding onto his roots in the LA underground, navigating a celebrated course while simultaneously applying his humble origins to an edgier, more unsparing side of his prolific personality. Taking time out from recording his much anticipated new album, .Paak opened up to Clash about the journey that led him here, and his appreciativeness for the achievement. Clash 108 is available to buy online now ahead of its release next week - get the magazine HERE.